In the past two to three years, 25 Hours A Day (25 HAD) has been working tirelessly to produce impeccable original tracks and classy remixes for many world class artists. His productions for the likes of Fortune, Charlotte Gainsbourg, Cassius or Phoenix have drawn wide praise and the list of his collaborations keeps getting longer and longer. But despite this success, we still know very little about 25 Hours A Day, so who is behind this mysterious moniker? 25 Hours A Day is a one-man-band and behind the wheel is Pierrick Devin. Based in Paris, Pierrick is a sound engineer and producer with solid credentials. In the studio, he has worked with many bands, including Cassius, Adam Kesher, Fortune (he produced 6 tracks on their last album) and Cut/Copy. Though sometimes described as electro, 25 HAD’s style is closer to indie rock than to pure electro. 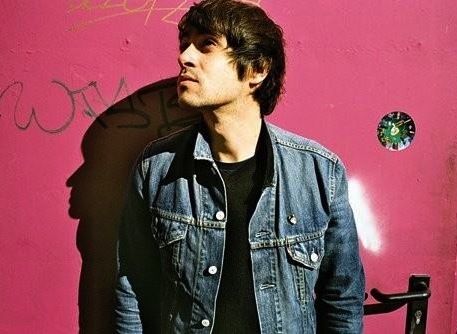 Devin’s use of drums and guitars (and the occasional synths) clearly shows his love for indie music and good pop songs. This is something we see in all his production work but also in his (too rare) own tracks. Check out the lovely “Mother Africa” just below. Pierrick Devin is also one third of electro band A Fight For Love with Julien Perez and Gaétan Didelot from Fortune. The three are actually seeing a lot of each other right now since Pierrick recently embarked on a tour with Fortune as their new live bass player. Despite this busy schedule I’m sure 25 HAD will still find time to produce more amazing remixes!